Business Tips - Along with the changing times, many people are interested to start looking and opening a business. With the advancement of information technology, some of them take the online path to grow their business. Do you also want to join it? Then what preparations do you have and have you considered them carefully? If not, there is no harm in reading the following description, so you understand and your efforts are not in vain. Do not spend a lot of capital and energy but your efforts fail. Let's carefully study the steps to develop the business strategy below. 1. Knowing Talent And Skills and Can Master It Well. Every human being has been equipped with abilities and talents by God. As a provision to defend themselves from life, and certainly not the same as other species of creatures. An example is a person's profession. There are successful as a businessman, clerk, farmer and so forth. Of course, they are not people at random, to achieve success, is not it? What talents and skills do you have? Have you found it and mastered it well? If not, can be done several checks, starting from interest, comfort, and love for what you have, inherent in yourself. Plan a business that is easiest to work with and has good prospects to develop. Therefore, it should be a product tailored to the talent that is owned, if you want to start a business. Suppose you want to open a culinary business, workshop, or garment. You must have skills in that field. 3. Learn to Successful People. Do not blame! Even though you are already proficient and master your skills and are confident of success, but do not underestimate anything. Do not forget the people who have experienced and have proven successful running their business. You have to learn from them. Lack of experience, information, and knowledge about the product being sold, is suspected to make a business fail. "The old man is slow and senile, but do not forget his experience" meaning experience is the most valuable teacher. We can learn from successful people and can maintain our success to follow in his footsteps. It is also suggested to be with those who have failed. Why? Because we will know the business mistakes they have done to cause failure, and that you can make a material evaluation and experience. 4. Setting a Business Strategy. 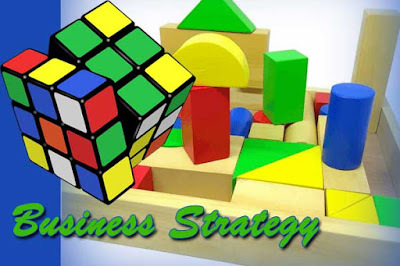 Setting the business strategy is absolutely necessary before the business is established. Capital daring and courageous alone is not enough, if not accompanied by planning and consideration is mature and without adequate knowledge. Even if you feel great already it does not matter, if you act recklessly. Progressing without mental preparation is suicidal. So, the step of developing a business is also mandatory to understand. Testing a product is indeed an obligation that must be fulfilled by a prospective entrepreneur. Especially when it comes to food and drink. Do you want to set up a culinary business? Give free product samples to people around you, then listen to what he thinks? If they say good, then the product is ready to be marketed. But if not, you should be able to restrain, be patient and learn again. No business can be run without capital even though very small. Capital is the main determinant. Therefore, preparing capital and then calculating carefully what is needed to develop the business is important. 7. Determining the Right Place. Determining the right place strongly supports the smooth running of your business. Strategic place and easy to reach from all directions, make people will be happy to visit. Moreover, coupled with adequate facilities, will certainly make the buyer comfortable. This strategy is for businesses that want to run physically / offline. To expand your marketing network, you can do it by creating ads and advertising. Ads can be made in the form of brochures, boards or business cards, banners or broadcast them in other media, such as electronics and mass media. An entrepreneur is required to have a wide association, ready to make friends with many people. If your product wants to be publicly known, it should not be a quiet and narrow-minded person. Everyone must be known and made friends. It’s a risk if later meet with less good people. Closing yourself is not the right reason if you believe in the law of cause and effect, surely you will not act stupid, do you? You have the ability to do business, business ideas in the head of a rapidly growing, but one of your shortcomings, ie do not have the capital adequacy. The best solution is to offer cooperation with others. It could be a friend or company interested in investing. Offer them in the form of a proposal and explain it to them. Make sure and make sure that your business idea will be profitable and have a brilliant prospect ahead. That is the tips or steps to develop the business strategy you are working on. Business will not work if lack of preparation and careful planning, but too much consideration is also not good. You will regret it if it is too late. Because the idea could have been stolen and preceded by others. Because in business law, the first and powerful person who will be the winner. You can also this article about 4 Types of Profession Writing with High Pay.